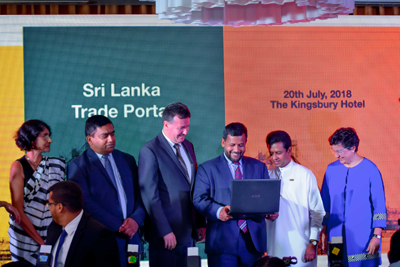 Colombo, 20 July 2018 — Sri Lanka’s business community now has a one-stop shop to get information on import-export regulations and procedures, thanks to the newly launched Sri Lanka Trade Information Portal (SLTIP). Hon. 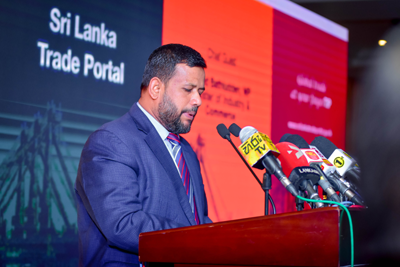 Rishad Bathiudeen, Minister of Industry and Commerce, unveiled the Portal to a large audience of public and private sector stakeholders. 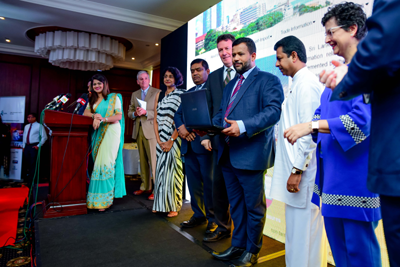 in the presence of, Ms. Sonali Wijeratne, Director General of Commerce, & Co-chair, NTFC, Mr. K. D. N. Ranjith Asoka, Secretary, Ministry of Industry and Commerce, Mr. Marcus Bartley Johns, Senior Trade Specialist, World Bank Group , H.E. Bryce Hutchesson, Australian High Commissioner to Sri Lanka and the Maldives , Mr. Chris Lewis Jones, Team Leader, TIP Project, PM Group, Ms. P.S.M. Charles, Director General of Customs, Chair, NTFC and Ms. Arancha González, the Executive Director of the International Trade Centre. 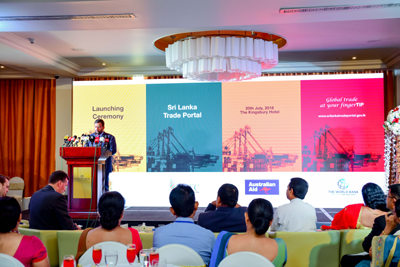 Hosted by the Department of Commerce in collaboration with the National Trade Facilitation Committee, and developed with support from the World Bank and Australian High Commission in Sri Lanka, the portal will improve the predictability and transparency of the country’s business environment, and provide foreign and domestic investors with quick and timely access to trade rules and regulations. For the first time, the portal puts in one place for over 1000 laws, regulations, procedures and other measures affecting trade maintained by forty-two government agencies. 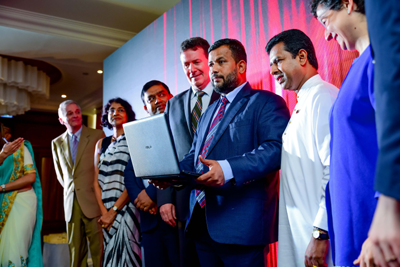 “With the official launch and operation of the Sri Lanka Trade Information Portal, we hope that our business community and other stakeholders will be provided with a useful tool to find the information necessary to facilitate their import-export activities. 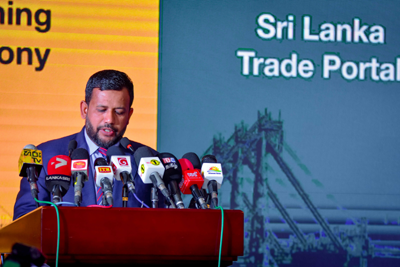 The Department of Commerce, is committed to closely coordinate with the public and private sector as well as international organizations to ensure sustainability of the SLTIP,” said Minister of Industry and Commerce Rishad Bathiudeen. As a single, easily searchable platform containing all trade regulations and procedures, SLTIP aims to save businesses time and operational costs, especially for small and medium enterprises interested or involved in the import, export and transit businesses. SLTIP is a major step towards creating a conducive environment for doing Business in Sri Lanka.. The Commerce Ministry, the World Bank and the Australian High Commission urged all relevant government agencies, the business community, and the media for their continued support in promoting and further enriching the trade portal.